I have a love hate relationship with many things, but the most polarized on is with glitter. I am like any other girl around in that I love love love sparkly things, thus the love of glitter. On the other hand, I love love love having things clean, thus the hatred of glitter. It gets everywhere and I swear you can't get rid of it. With that background, let me tell you about a joyous morning! All three kids were sick in varying degrees and not sleeping well. I think between all three kids I was up 4 or 5 times. When Kaidrei and Malea came into our room before 6 that morning, we sent them back to their room to sleep or play. They quickly went back to their room and I dozed off to sleep again. A while later I forced myself out of bed because Kaidrei had speech class at 8, so I needed to get up and get us all fed and ready in time. I quickly threw on some clothes and stumbled, half asleep still, down the hall to the girls room where I could hear them giggling and playing. I opened the door, mumbled good morning, and starting looking in their closet for clothes. 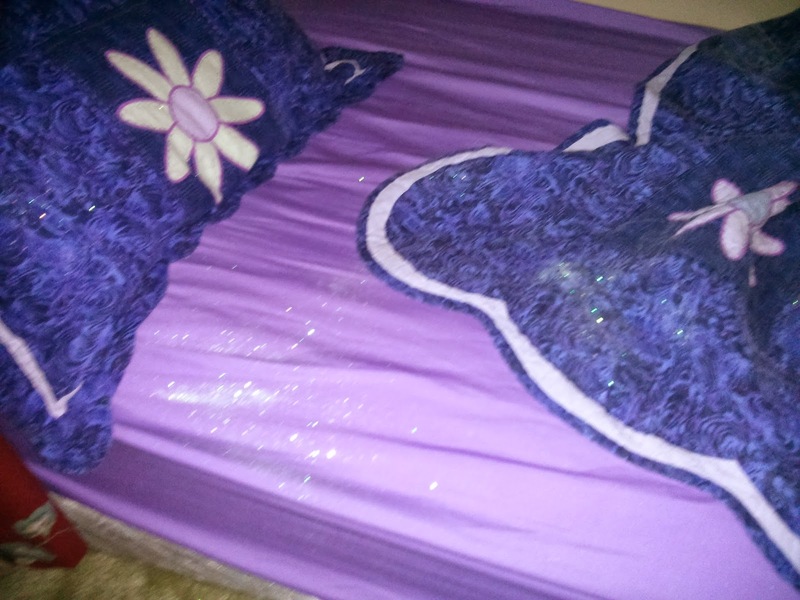 Only when they proudly insisted that I look at their sparkles did I notice the glitter on Malea's bed. 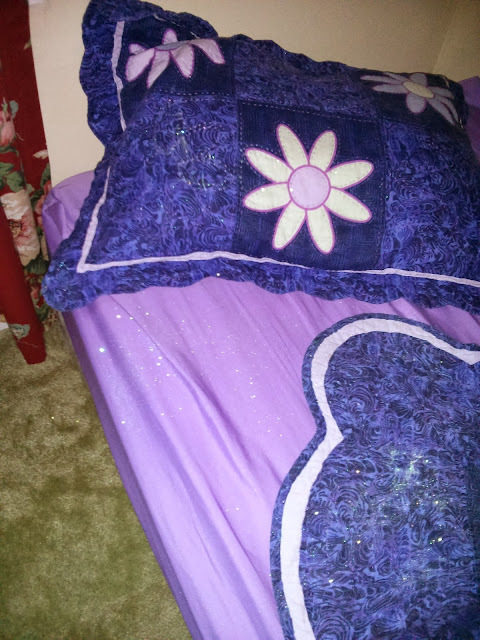 I thought she must of scraped it off the picture we had glittered the prior week, until Malea stepped aside and I could see the pile of glitter on her sheet and the carpet too. At this point she proudly showed me the empty container that had been completely full! I took the container and left without a word. Somehow while they were in our room, they had taken the glitter without us noticing and went to happily play with their pixie dust. The glitter doesn't show up nearly as well as I had hoped it would in these photos. It was everywhere. As the girls called after me wondering why I was leaving. I counted higher than 10 that morning as I tried to calm down. Really the glitter doesn't matter, the mess is, well, a mess, but it wasn't what I wanted to deal with on the only morning we have to rush from the house after a night with very little sleep. I decided to ignore the mess for now and get us all out the door. We left the house covered in sparkles...even Brian was covered in them, because he gave the girls hugs. That morning at the IEP meeting everyone commented that we were glittery. The same things happened with random people at the stores we went to afterwards. I finally decided that we just need to spread some sparkle around town that morning. Everyone who heard what happened got a great laugh out of it and I will admit that every morning when Malea comes in covered in pixie dust to wake me up I can't help but smile. Yes we are going on day 4 and there is still glitter everywhere. Glitter I think I hate you a little more than I love you at the moment!